The past 5 days have been so much fun! I’ve been going out a bunch, with friends and family. Starting on Wednesday, look at this delicious roasted chicken! 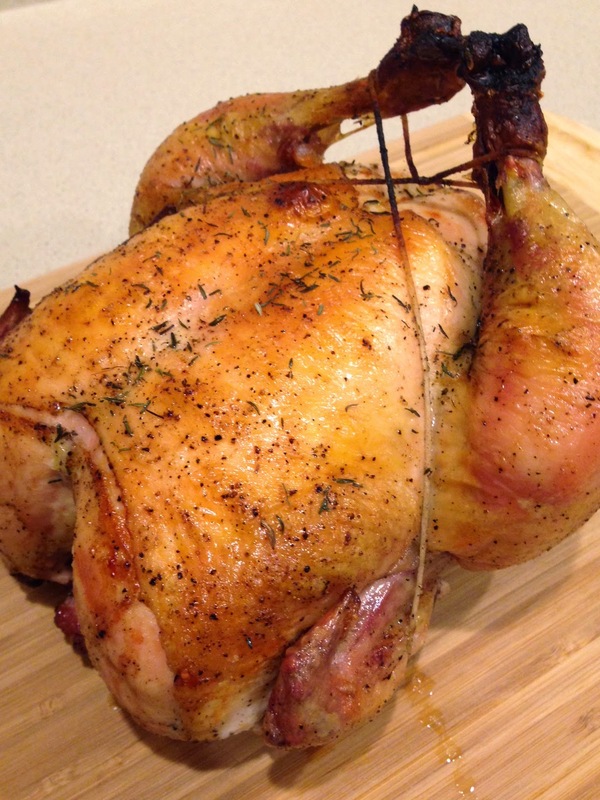 If you want to recreate it, check out my recipe here. With the leftover chicken, I usually make chicken salad for sandwiches. It’s a great recipe! Moving onto Thursday, my in-laws picked me up at 10am, and I spent the entire day with them, until 9pm. Most people would find this frightening, but I’m fortunate enough to have lovable in-laws. I’m not even lying to you. We went out for Dim Sum in a very well-known restaurant called Koi Palace (a must if you are ever in SF). Afterward we headed over to Westfield to shop in Union Square! 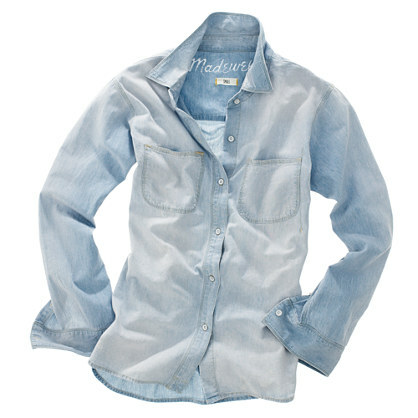 Here I spent a nifty amount on some clothes at Madewell. I’ve been eyeing a pair of jeans, and I figured it’s finally time to spend some money on some quality products. I’m at that age where it’s about quality over quantity, and it’s important to invest in key wardrobe staples. I’m happy to say that at 26, most of my “college clothes” aka tanks, low-rise jeans, and t-shirts have been donated or sold. I’ve started buying grown up clothes, but I still I get moments of weakness at XXI (don’t you?). 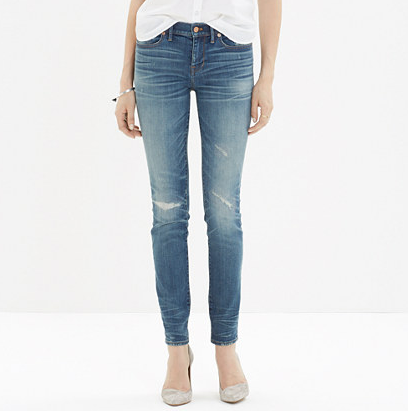 Got these Madewell Skinny Skinny Jeans and also the Perfect Chambray Shirt in a light wash (the one and only one left at Madewell located in Colorado; I’ll get it via mail this week). So excited for these pieces and can’t wait to show them off in Japan in 2 weeks! After shopping we went over to dinner at Shanghai House again (I went here in my previous post). Twice in a month. I’m such a lucky girl! 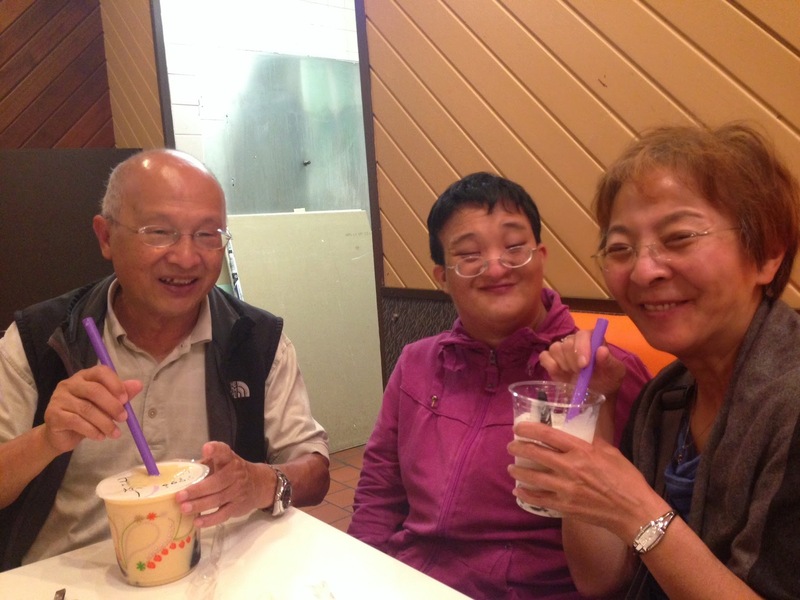 And of course, Purple Kow again! I introduced this to the in-laws, and they enjoyed it! On Friday, I hosted a progressive dinner for Bible Study groups all around the East Bay for our church. I’ll share more about this in a separate post. Basically, different groups of people come for different courses of dinner (appetizer, main course, and dessert). It’s a really great activity! Anyway more in my next post. Saturday was a girl’s day! 3 girls and a mall means lots of shopping (yup, again). One of my friends, Jess, was willing to get some new clothes to change up her wardrobe, so I was on a mission to get her some new clothes. We made her try on a bunch of different things to get a sense of her style, and she ended up getting some items. I love helping people shop! I seriously find joy in it! To reward my hard work, I bought myself a sweater from Zara and a t-shirt from Brandy Melville. Yay! I’m going to be stylish in Japan! After shopping we got some groceries and made dinner at home. 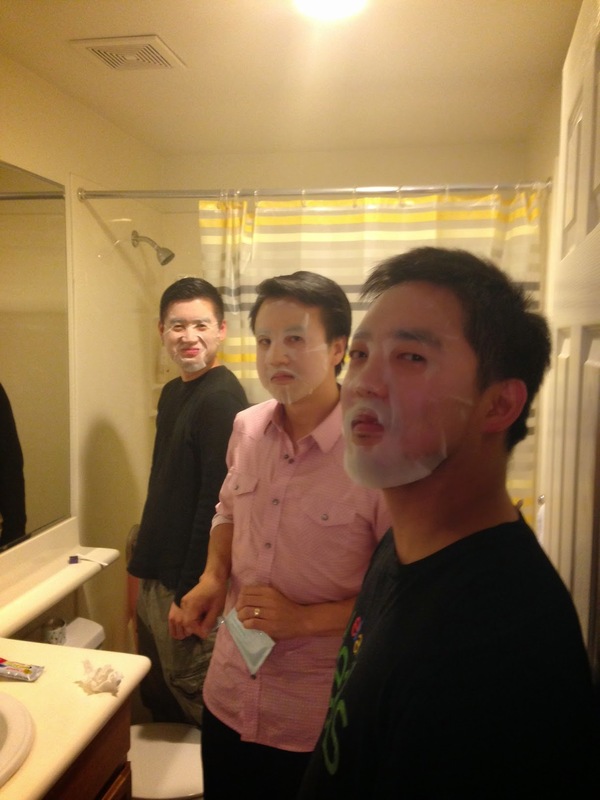 The rest of the night was filled with makeovers – testing out make-up and doing facials. So fun! ^^^ This picture actually creeps me out quite a bit! 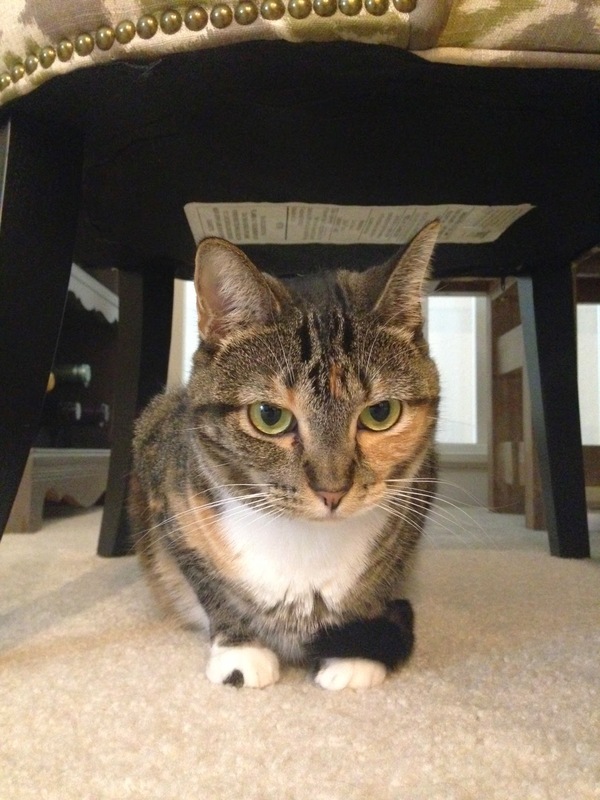 Just a few random things – Olive and Lily (MG’s sister’s cats) are still staying with me. There’s not a dull moment having three cats playing in the house. 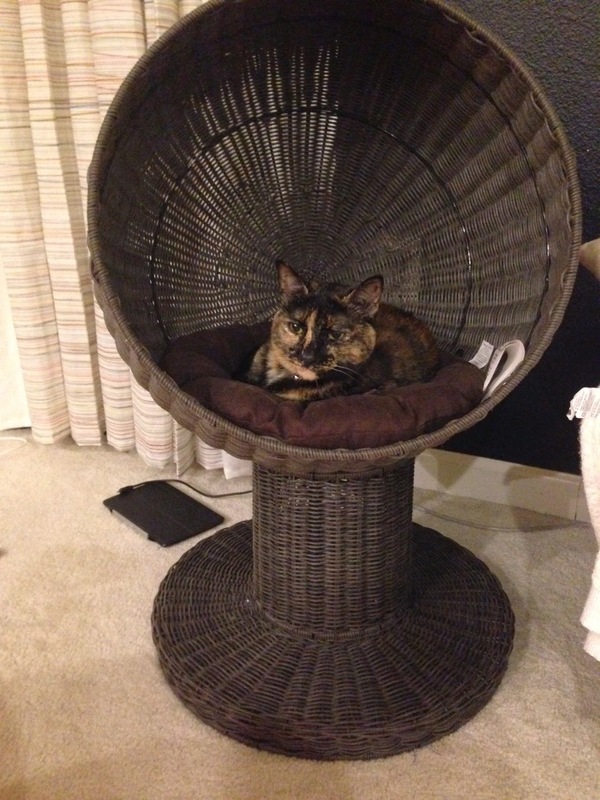 Lily is a people kitty. She doesn’t play with the other cats. When she tries, it ends with hissing and fluffy tails. We joke that Olive is Chubs’ girlfriend. They wrestle and run around the entire house like it’s a playground. 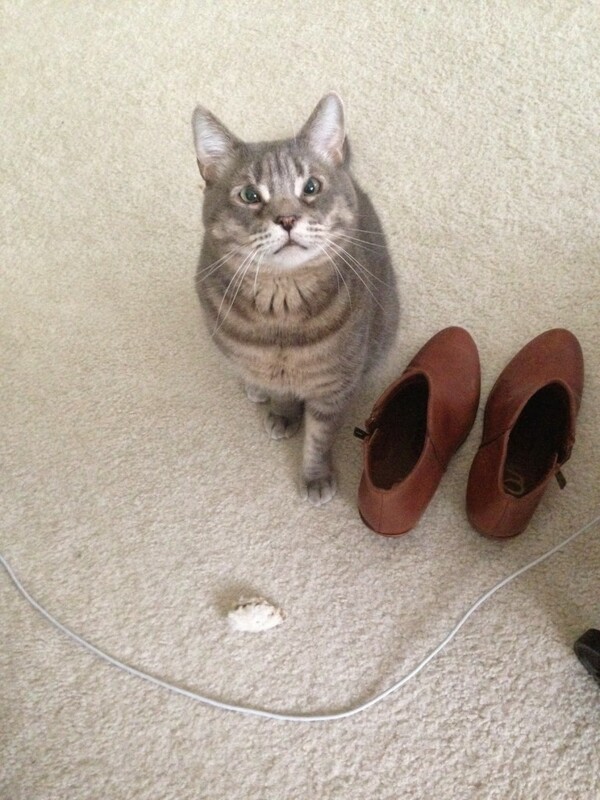 And here’s my Chubalee, wanting to play fetch with that little fuzzy white toy. Oh and he’s standing next to my new booties I ordered for Japan. Aren’t these uber cute? 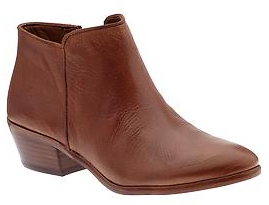 Sam Edelman Petty bootie – Yay! Gosh, I’m ready to go to Japan in my new cute clothes! What have you been up to? There are days where time seems to go by too quickly and that was exactly how this past week has been. How about you? And a very important question, what kind of Fall staple pieces are you buying to gear up for colder weather? Do share! This entry was posted in Life and tagged cats, chubs, in laws, iphone, kitty, life, madewell, progressive dinner, purple kow, sam edelman, shopping, update, week. Bookmark the permalink.